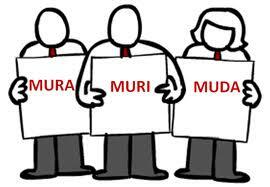 “Muda” (無駄): Japanese for waste. We have all experienced this. A patient comes into the ED who is identified as a priority (VIP) either because of acuity or perceived status. In no time they are in, everything gets done and they are out the door. What happened? Did the analyzers in the labs suddenly work faster or CT images download at faster than light speed? Of course not. What did happen is that much of the (normally) wasted (on waiting) patient time was eliminated. Think about some of the common examples. The STEMI patient who gets out of the cath lab in minutes; the complex trauma who gets examined, labs drawn, radiology studies and is off to the OR shortly after arrival. What would happen if we could eliminate Muda for all patients? Well patients would probably be happier, our average volume of patients in process would drop, and our capacity to care for patients would increase. Most importantly we would provide safer care. The Japanese break waste into seven categories. 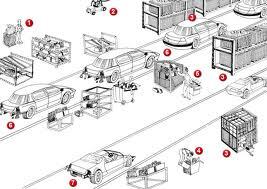 These were best described by the Toyota Production System and is considered the precursor to LEAN. Not all apply to us in medicine but several do: transportation, waiting, defects, over-processing and motion. Our experiment to change these items is where we care for our low/moderate acuity, ambulatory patients (zone 4 or Supertrack). It is here that turn around times are already down from 200 minutes to 140 minutes in the last few months. So lets talk about a typical ambulatory patient and the Muda we can eliminate in taking care of them: 25 year old female with minor abdominal pain who is pregnant. What does she need? Physician eval, labs, US, and follow up. Waiting. We can eliminate wait to see the doctor by abbreviating initial triage and ensuring there is always a room available within 20 minutes for evaluation. Waiting. We offer patient a group setting to sit in to ensure rooms for evaluation. Motion/Transportation. In our new ED we cut down on transport time as all radiology studies can be completed without leaving the ER. Motion. We could improve motion by improving the ability of doctors and nurses to chart in the exam room and ensure all regularly used meds are available in the local pyxis. Defects. What is the saying? Measure twice, cut once. Improving the acquisition, care and handling of blood specimens. Redraws cost time and resources. OverProcessing. 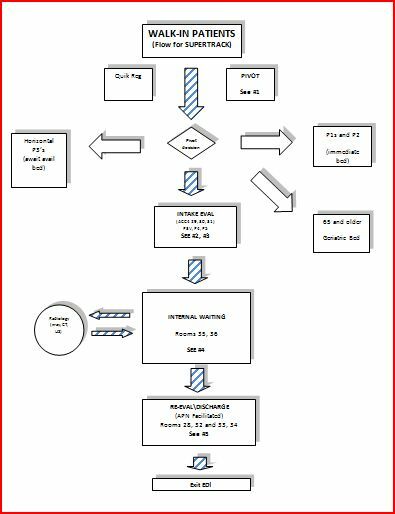 Look at a typical chart. How much of that documentation provides any benefit (to the patient, to getting paid) vs. just fills space? how many hours are lost collecting too much data? What tests are essential for the care of this patient with a well defined problem? The biggest question is why change? Why standardize care of similar patients? The answer is simple we have to. If we want to provide good, safe, equitable care we must. We must build a system that can withstand 500 patients on a Monday without overwhelming our staff.